Being boring is now beautiful. In fact, it’s downright trendy. The newest fashion craze sweeping the hipster nation is a rewind of the early 1990s, when stonewashed jeans, big white sneakers, ill-fitting baseball caps, turtlenecks and fleece jackets were the rage, and the socks-with-sandals look rocked. The trend known as "normcore" exudes an attitude that embraces uniformity and manifests itself in “ardently ordinary clothes. Mall clothes. Blank clothes. The kind of dad-brand non-style you might have once associated with Jerry Seinfeld,” according to the recent New York Magazine article that helped encapsulate the look behind the term. Bugbee said fashion trends typically resurface in a 20-year cycle, making normcore's arrival right on track. “I wouldn’t call this anti-fashion because there’s a self-consciousness to it, but it’s a rejection of using fashion to display ‘my crazy personality!’ It’s just changed," she said. 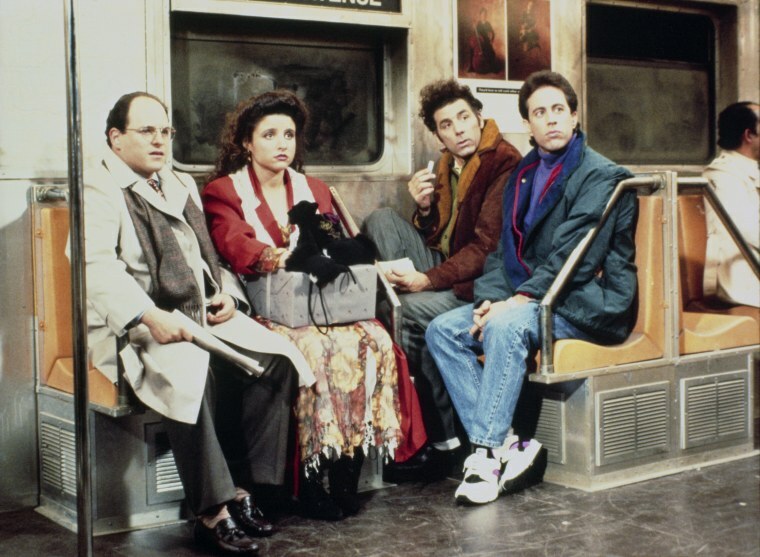 "Normcore" as a term was coined by K-HOLE, which New York Magazine described as a “trend forecasting collective." The article has generated a flutter of reaction on social and traditional media. Some questioned the legitimacy of its aesthetic while others mocked the idea of it even being seen as a trend. On Tuesday, even President Obama got caught in the fashion mix after Gawker wrote a headline asking, "Is Obama too normcore to defeat Putin?" The question referred to a criticism by former Alaska Gov. Sarah Palin, who said Obama looked like a weak global leader compared to Russian President Vladimir Putin. Bugbee said she has been "pleasantly surprised" by the polarizing response to normcore, especially by those who have strongly rejected the trend. “That speaks to the power of it,” she said. Bugbee likened it to the grunge style that became embraced by the fashion industry in the 1990s after initially being associated with the disheveled look of the alternative music scene from that time period. From poofy gowns to puzzling hats, take a look at our favorite designs from the ready-to-wear collections.